Usually an S tagged onto the end of a model stands for Sport or something similarly indicative of a higher end spec... but Yamaha decided it should mean Short-of-money for the new R1 sub-model. It is an interesting idea, perhaps in response to the rather steep increase in price literbikes have seen the last few years. Skip a few of the exotic bits that don't add anything other than bragging rights in the real world so that more Yamaha fans can afford to join the superbike club. We'll be interested to see how well this new concept sells. If it proves popular we don't doubt other manufacturers will follow suit. The 2015 YZF-R1 took the liter-class sportbike world, and the world’s racetracks, by storm, winning accolades and trophies around the globe. 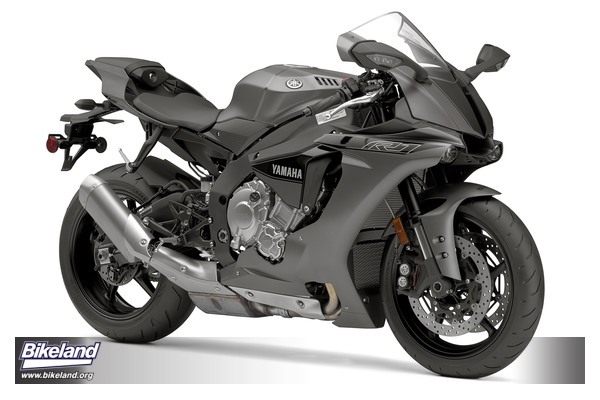 For 2016, Yamaha Motor Corporation, U.S.A., has upped the ante, giving sportbike riders a third R1 model from which to choose. The 2016 YZF-R1S offers yet another level of perfomance specifically geared towards budget-conscious sportbike enthusiasts who do most of their riding on the street. 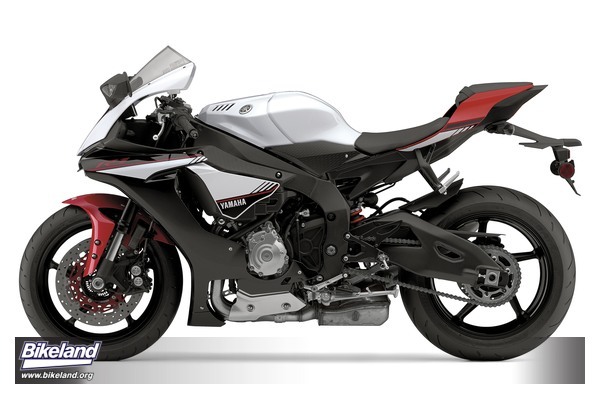 Yamaha engineers replaced some of the R1’s higher-spec components like the titanium connecting rods and exhaust headers, magnesium oil pan and wheels, and softer-compound tires with lower-cost components. The result is a liter-class sportbike with a slightly higher curb weight that sacrifices virtually none of its real-world R1 performance--including the legendary “Crossplane Crankshaft Concept” engine; titanium muffler; six-axis Inertial Measurement Unit (IMU); electronic traction, slide, lift, and launch controls, and ABS--and delivers it all at a lower suggested retail price. The 2016 R1S will be available in Matte Gray and Intensity White/Raven/Rapid Red, and will retail for $14,990, with motorcycles available in dealerships beginning in February. The big news for the 2016 YZF-R1 is that the motorcycle will be offered in three different color schemes: Matte Gray, Team Yamaha Blue/Matte Silver, and limited-edition 60th Anniversary Yellow/Black. The Matte Gray and Team Yamaha Blue/Matte Silver models will retail for $16,490, and the limited-edition 60th Anniversary Yellow/Black R1 is priced at $16,990. All three color schemes will be available in dealerships beginning in February. At the top of the 2016 R1 model lineup is the YZF-R1M, which returns in a striking Carbon Fiber/Liquid Metal color scheme for an MSRP of $21,990. The R1M, which offers Ohlins Electronic Racing Suspension (ERS), standard Y-TRAC Communication Control Unit (CCU), and carbon fiber bodywork, will be available in dealerships beginning in February.